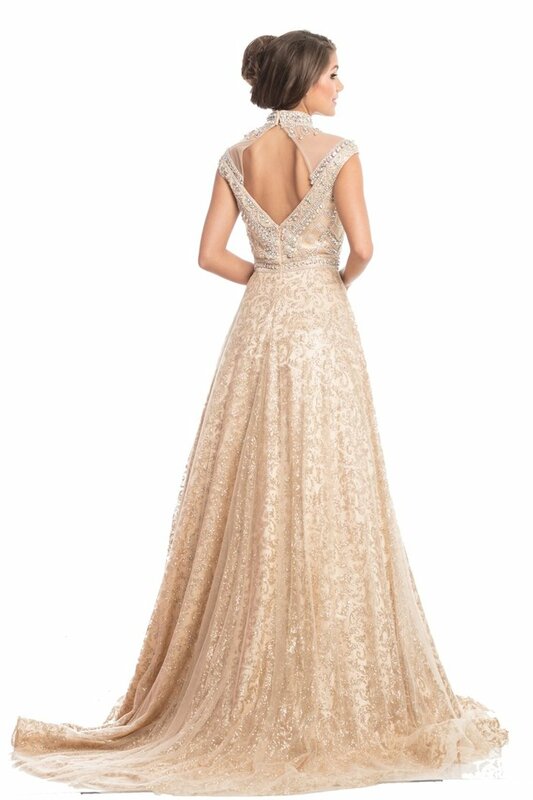 Drop Jaws at Prom 2019 in Johnathan Kayne Style 9114. 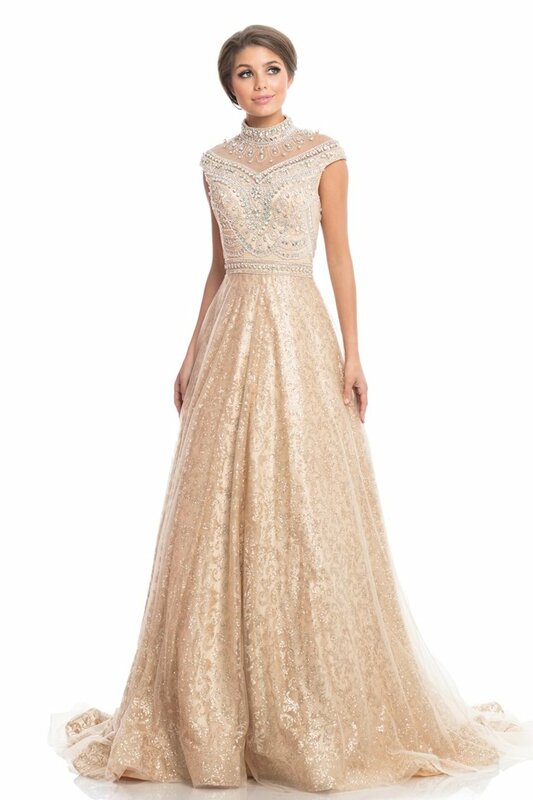 This gorgeous gown is surly designed to impress with a beaded, mesh, choker neckline flowing into a glitter printed mesh train. Johnathan Kayne Style 9114 is available in Gold only.